JULY 6 UPDATE: Someone associated with the site from Turkey got in touch with us and updated their site to include a simple About message which explains they are not trying to do anything malicious, and they are not affiliated with Google. They also changed the appearance to make it look less like an actual Google page. Wasn’t so hard, was it? This service isn’t a google product but its not a dangerous. This shortener projects is a first shortener projects and its made very fast about 2 or 3 hours. Thanks for your warning Barry. People must be carefully for privacy. Hello Can, I am glad there is someone that will come out and provide transparency for the site and it’s operations, so we know it’s safe. As I think it’s just a URL shortener service, you can use it as you want; therefore, don’t worry too much about this website. While it may not be malicious, it also is oddly using 302 redirects rather than the appropriate 301 redirect. 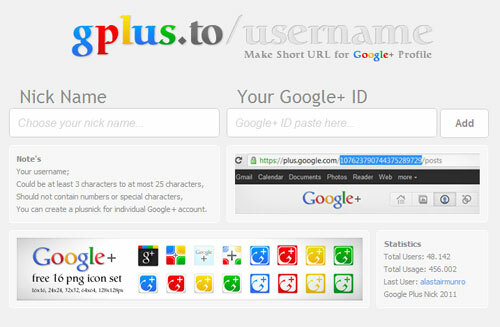 This means that unless Google chooses to ignore the HTTP status code, any Google Juice will stay with the gplus.to site. The people running gplus.to said they “promise” not to use our information. They may be sincere now but I cannot accept a promise. It’s laughable. Is there any way to undo this?